Selection of right oil for a vehicle is a tricky challenge for everyone especially in case of old cars, a driver always found difficulty of what oil would be best for my car in order to maintain healthy engine for better performance of the car. Before explaining about what kind of oil does my car need, a little knowledge would be required before choosing the best oil, otherwise a person could make a mistake which might damage the whole engine. There are certain global bodies to test and certified the oil in their respective countries and categorized them into groups, grades. API (American petroleum institute) and ILSAC is the largest among all certified bodies globally. Three types of engine oil available in the market mineral oil, semi synthetic and fully synthetic. Mineral oil is comprises with crude oil and add some additives to make the engine perform well such additives are rust, anti- corrosion and anti- detergent and reducing wear. Semi Synthetic is a mix of crude oil and chemical properties, this one is more heat and cold resistance with more advanced than mineral oil. Fully Synthetic oil is made up of chemical formula it includes synthetic lubrication such as Ester in group 5, methane gas to liquid group 3 and polyalpha-olefins group 4. More expensive than other oils but more advanced and extreme high cold and hot temperature resistance. Viscosity means thickness, the higher the grade number is the more the oil is thick vice versa in case of lower grade number. Grade represent viscosity it start from 0, 5 10, 15, 20, 30, 40, 50 with the starting letter of W which represents (winter). 5W-30 is a multi-grade oil it has two SAE viscosities at a range of 5 (lower) and 30 (higher), both works simultaneously. 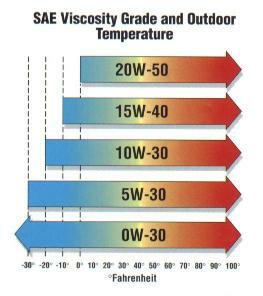 Viscosity 5W-30 do not typically represent weather, but they represent the oil thin and thickness. At a low temperature engine gets cold if the car parked for more than 6 hours, 5W do the part their by its thin viscosity, when you start the engine the oil circulate easily and quickly reach into their car combustion engine to prevent from friction and wear, and when the engine gets hot at a standard temperature of above than 90 degree Celsius the oil changed its properties to High viscosity 30 to make the engine perform well. A new car engine oil selection is rather easy then choosing for old engine cars, New cars have an owner’s manual book in which the grade and API written for a car, in case of manual book lost or misplaced and you just driven only couple of thousand miles less than 15000 then I would suggest to select fully synthetic 5W-30 or 40 with API SN grade. In case of old engines a driver need to analyze the condition of the engine health and overall daily mileage before to choose oil, if an engine burns oil more than half of a quarter within 4000 miles in just one oil then consider replacing oil from lower to high grade such as from (5W-30 to 10W-40), (15W-40 To 20W-50), it also includes the API switch from SM to SN. Those regions where temperature goes up to more than (40) and not less than (10) I would suggest to use 10W-40 for old engines, and those region where temperature goes up to (30) and less than (10) then use 5W-30 or 40, for new engines. API as said is a certification for all oil manufactures to be certified before selling into the markets, API sets a standards for engine oils, they test oil lubrication in the lab and physically in to the engine to assess the performance of the oil. The latest API is the SN, those who has a stamp of SN on oil represents that the oil is High temperature deposit protection for pistons, Better sludge control, Better seal compatibility, After treatment compatibility. 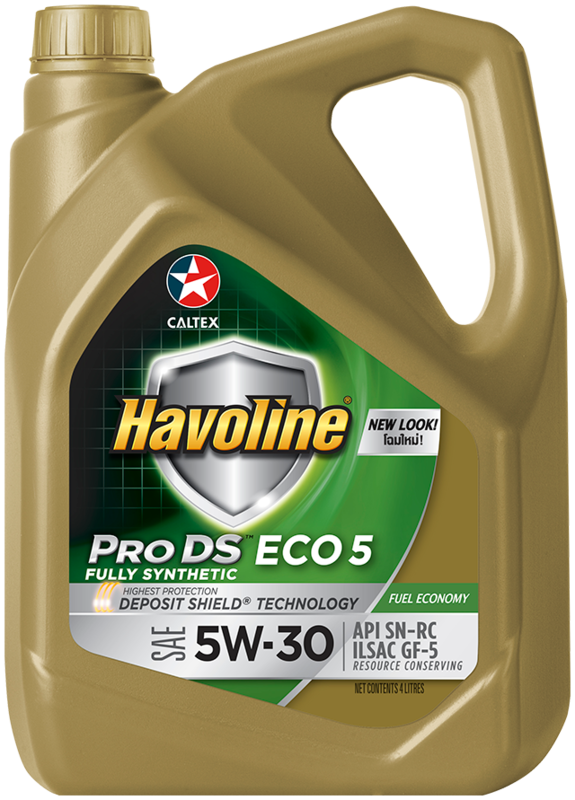 Synthetic oil is the best for all cars except the viscosity numbers, a car more than 100k miles driven can use 10W-40 SN, or 20W-50 SN. Selection would be based upon previous oil grade, type of oil and API, switch from mineral or semi synthetic to fully synthetic would be better with latest API SN. What fully synthetic engine oil grade would be select? Same grade of synthetic oil as previously used in a car. 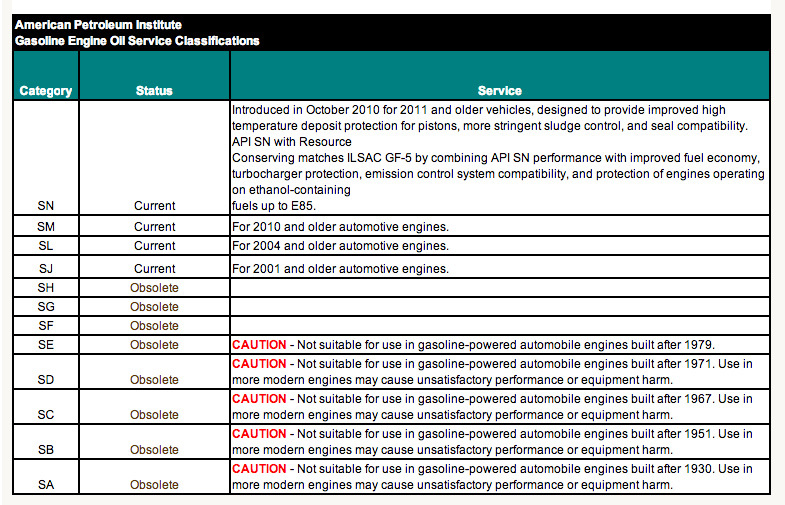 Switching to synthetic oil in higher mileage vehicles? Synthetic oil is basically made of special chemical properties to enhance the engine life, performance, clean waste deposit, maintain fuel efficiency and work longer than the normal engine oils. Synthetic oil: One oil last more than 6000 miles. Only buy the high quality brand.